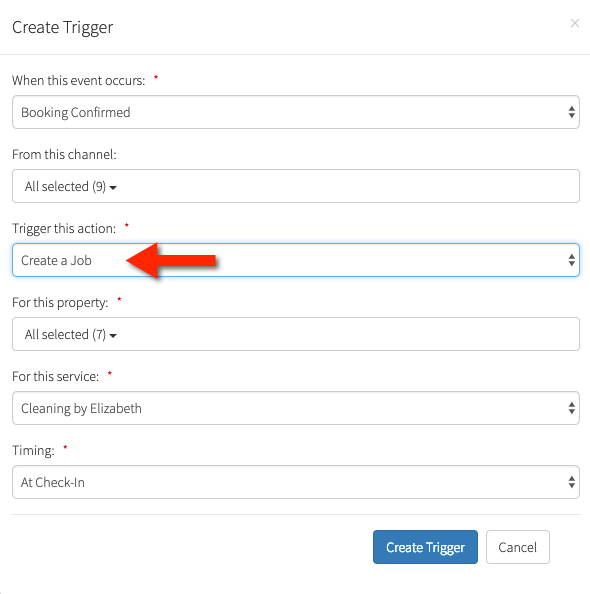 As you've learned from the article on managing turnover jobs within Hostfully, our platform can be a great way to manage turnover and schedule jobs that need to be performed between every booking. Part of this equation is to bring your own service providers into this flow and the platform also allows you to easily create accounts for them on the system. 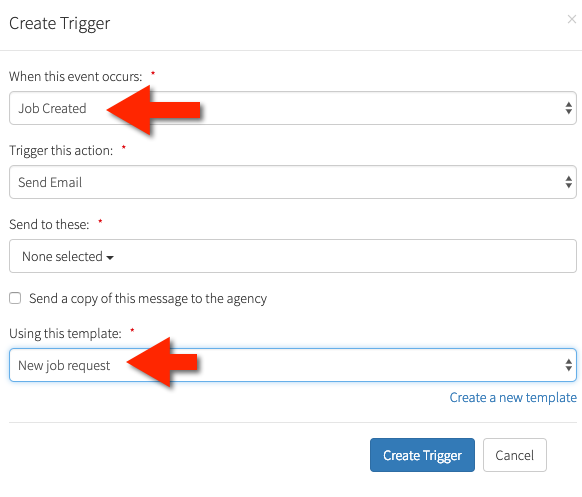 Now that the jobs will auto-create, we can actually attach messages to this new type of system event (New Job Created) we're triggering. The point is to automatically notify your service providers when a new job is created for them. 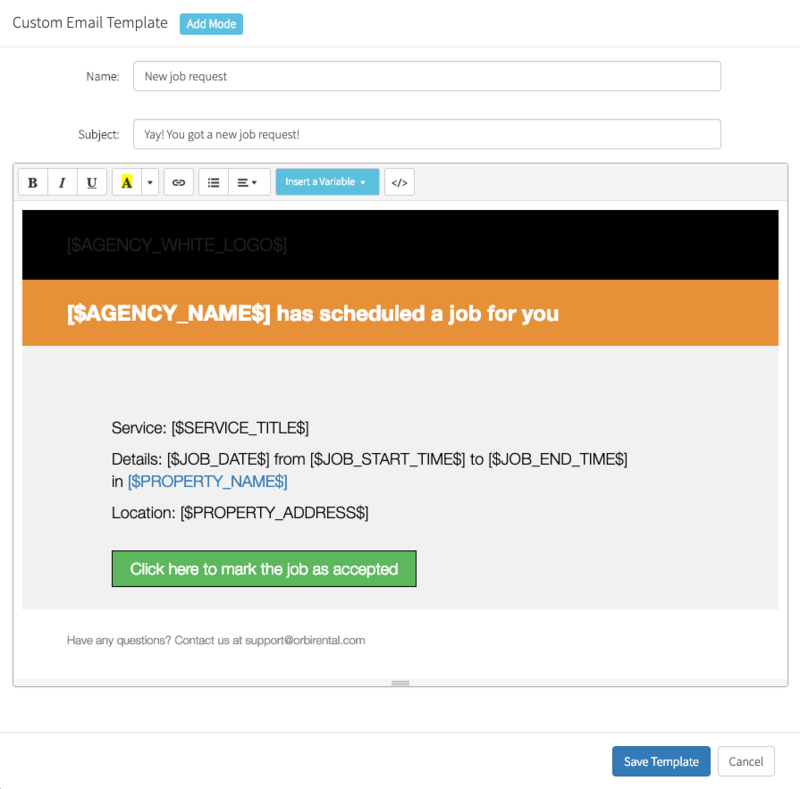 As you can see, this template contains the message and variables describing a particular job time and location, and provides an option to accept the job. Save this template, as we're going to create a trigger for it. 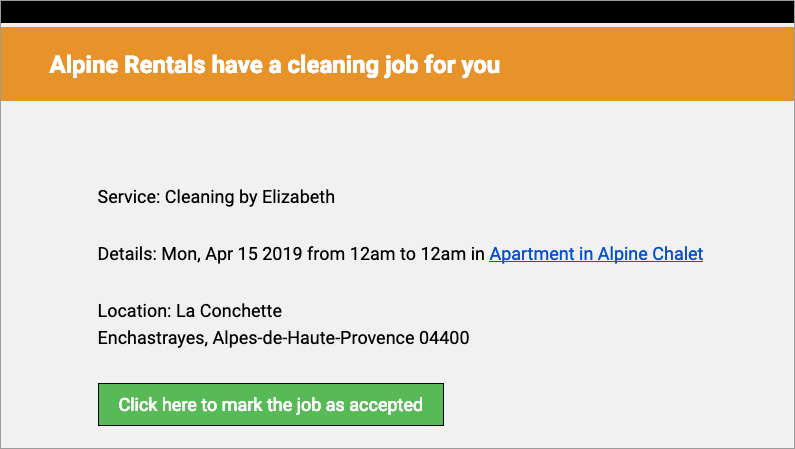 The link embedded in the green button will allow your provider to accept the job, and this will automatically reflect as accepted on your calendar.